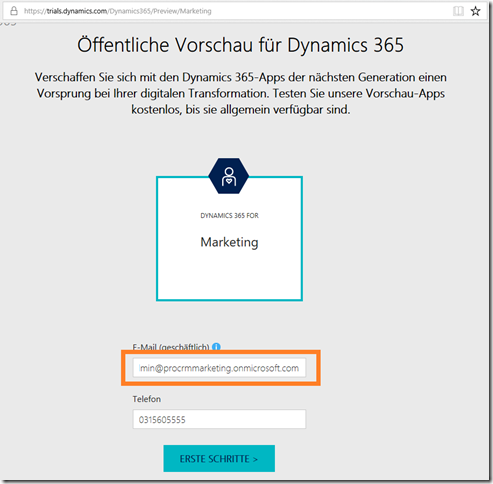 Some days ago Microsoft released the a public preview trial version of Dynamics 365 for Marketing. 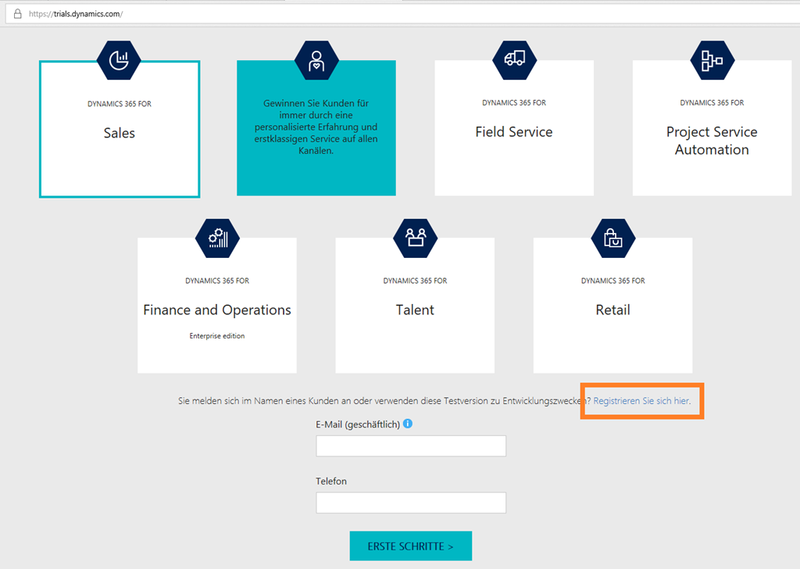 Go to https://trials.dynamics.com Choose “Sales” and click “Sign up here” (“Registrieren Sie sich hier” in the printscreen). Then click “No, continue to sign up”. 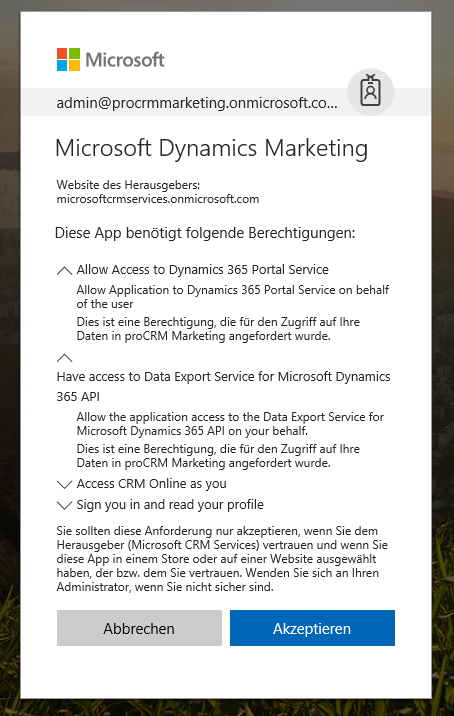 This means, that you will create a new account and will not use your exisiting Office 365 subscription (If you have one). The next steps should be self explaining. The second step is to add the marketing app to the new created CRM organisation. 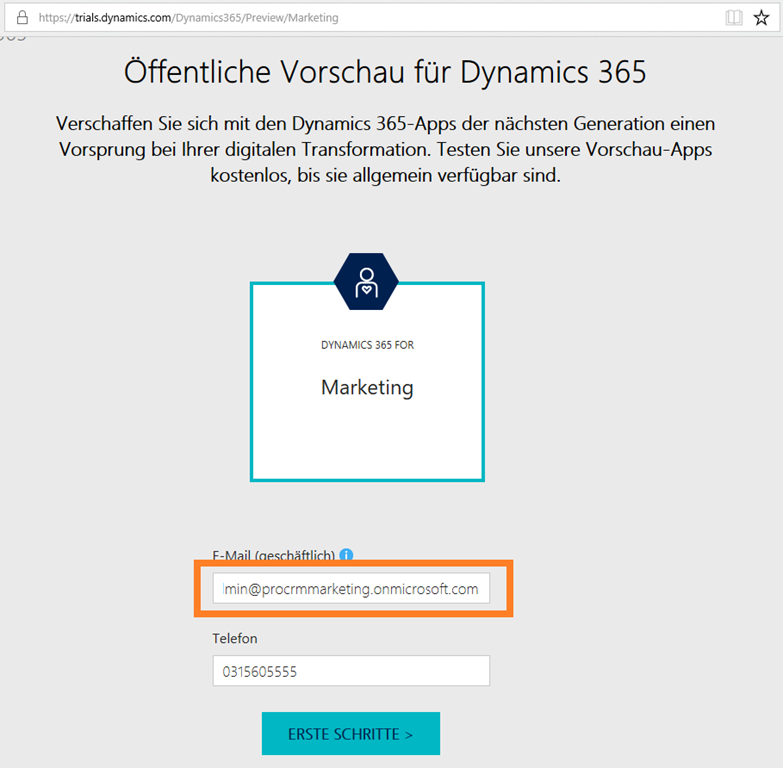 Go to https://trials.dynamics.com/Dynamics365/Preview/Marketing Enter here your login for the created Dynamics 365 Trial in Step 1. 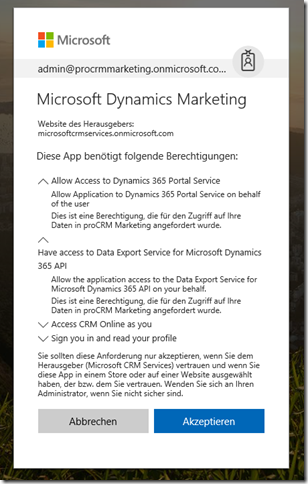 So if your login is “admin@procrmmarketing.onmicrosoft.com” enter this address. Click in the right top corner “Open”. The marketing app needs rights.